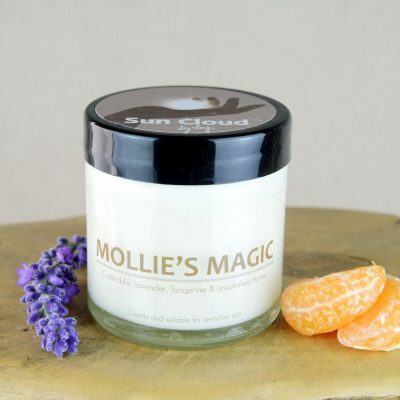 Whether you have been doing a lot of sport or if you suffer from arthritis, this is the cream for you. This cream can be used to relieve a wide range of ailments such as arthritis, rheumatism, sprains, strains, sciatica and neuralgia. It combines warming ginger, pain relieving & detoxifying juniper, calming eucalyptus and lavender essential oils in an easily absorbed Lincolnshire beeswax base. Massage gently into affected area as needed. 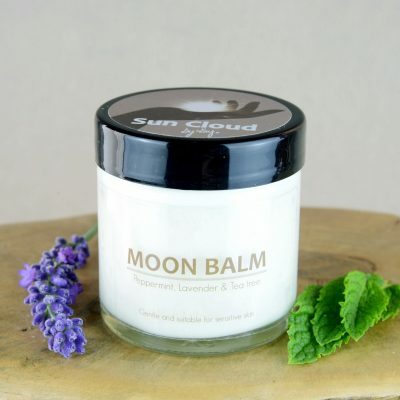 A brilliant aid to warm and uplift, and can be used as preventative health care. Restore positive energy & outlook, relaxes & calms the mind, Antidepressant, eases stress, relieves anxiety, fear & nervous tension, gives empowerment, creating inner fire and strength. We always recommend that you test products on a small inconspicuous area. In the rare case of any adverse reaction seek medical advice. Nice and creamy, smells great and soaks well into my skin. I use this after I have been to the gym to help relax me and my muscles. At present I’m using more around my knees, its helping with the aches and pains. For me I would like the scent to be a little stronger only cos I love it so much. Muscle Melt is amazing, I love it. I use it after teaching spin and instantly after my bath and I wake up with my muscles feeling new again! 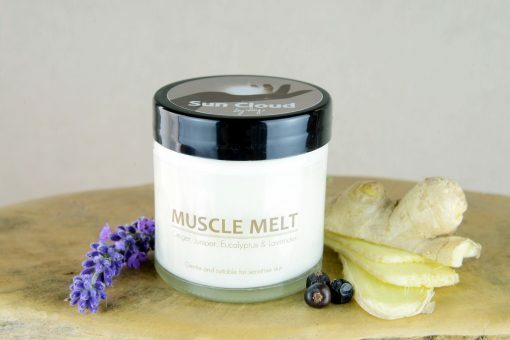 After upping my gym sessions I was recommended muscle melt to help with tired achy muscles, absolutely amazing product. Applied this at the end of the day & I’m ache free The following day!! Hi Kay – last evening my neck was so sore & tight that I was getting ear ache. I used your Muscle Melt for the 1st time, within 10 minutes things were easing up and after 20 mins I could move my neck & shoulders without any pain. Awesome stuff, 5 stars! Can highly recommend it. Hi Kay, I’ve used the muscle melt for quite a while for odd niggles and can’t find a better alternative. The cream soaks in quickly, the oils add strength to the healing sensation. I have no complaints and would highly recommend the product to anyone as I would any of your products. I have used Muscle Melt for the first time for my back and neck pain and WOW what a difference it made to me, the pain went so quickly (had back ache for a while and neck pain I think from sitting at a computer at work) but this “magical” product has helped me so much, thank you Kay. I also love with these products that Kay puts what she personally recommends them for, you don’t get that anywhere else. Hi Kay, just wanted to send you a virtual hug for your muscle melt. I overdone it in the gym with weights last night and was in clip order this morning. I mean, really bad, struggled to get out of bed, starting having nightmares that I’d be found half eaten by the cats as could hardly move. Had some painkillers but barely touched the sides. Then I remembered your muscle melt! Oh Lordy, it’s a miracle …… It’s really helped with my lower back and pelvic area and I’m able to move around now which means I can start doing some stretches. Just wish you were nearer for one of your magic massages. Muscle melts rubbed into my back vanishes aches and pains …. couldn’t be without it! 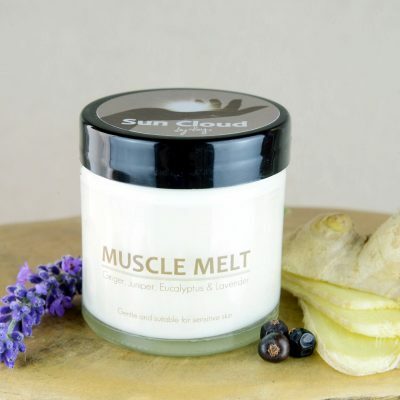 Muscle Melt is incredible, it works wonders on my shoulder, which has given me trouble for years. I’ve tried plenty of products before, most of which have been more expensive than Muscle Melt, but none have given me as much relief.